Content marketing is a marketing strategy in which businesses attract customers by publishing useful or entertaining material such as blog posts, social media pages, images, and infographics. Often, content is distributed through email marketing services or social media marketing services. After engaging with content, consumers may be more likely to visit that business's website and possibly become a customer or client. Content marketing services can be utilized by businesses across a variety of industries that aim to expand their user base or create a larger brand presence. Businesses may choose to optimize their content with a search engine optimization (SEO) service to improve their website’s ranking on search engines. Some companies manage their own content marketing or supplement outsourced service with content marketing software. Content Marketing Agencies reviews by real, verified users. Find unbiased ratings on user satisfaction, features, and price based on the most reviews available anywhere. 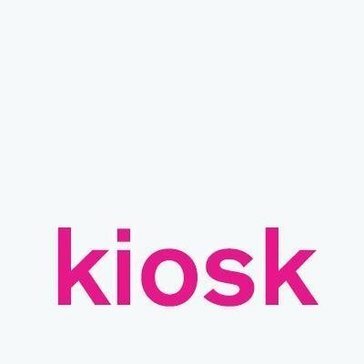 Kiosk is a full-service digital advertising agency that blends strategy, technology, media and creative together to motivate audiences to action and achieve amazing results. Klicker will turn your business into the blockbuster brand you've always dreamed of. As boutique digital marketing agency, we work with clients of various sizes across the United States and Europe to increase their visibility, grow their brand and attract customers. Kobe Digital is a cutting edge boutique agency in Los Angeles California. Our Team of marketing professionals can help your business get your business in front of thousands of valuable customers. KOUNTERATTACK is a full-service digital agency based in New York City. Kraftblick specializes in digital marketing for Tech Companies, SaaS and Startups. Kuia offers tools to ensure that businesses will not be ignored. Through personalized and embeddable quizzes and calculators as well as real time charts visitors are able to connect fully to a client’s website. This results in more targeted information on leads, more traffic from visitors and ultimately more revenue. All it takes is 17 minutes. Kuno Creative delivers more qualified sales leads via content marketing, demand generation and marketing automation. LatinWeb is an Outsourcing Center for Web Design, Web Development and Digital Content services. Leadhub is a digital marketing company in San Antonio, Texas. Lead to Conversion is a firm that provide services including Brand Development, Responsive Website Design, Search Engine Optimization, PPC Management, Social Media Marketing, Email Marketing, and Video Production and Promotion to help companies of all sizes get more leads and sales through effective web design and online marketing. Leverage Marketing is a team of seasoned online marketing veterans that are dedicated to finding a better and more integrated way to pursue marketing. We're an award-winning NJ web design and digital marketing agency specializing in branding, website design and development for B2B companies in manufacturing and consulting. Local Search Masters (LSM), where digital excellence has been powered by dedicated specialists since 2006. Location3 is a digital marketing agency that delivers enterprise-level strategy with local market activation. 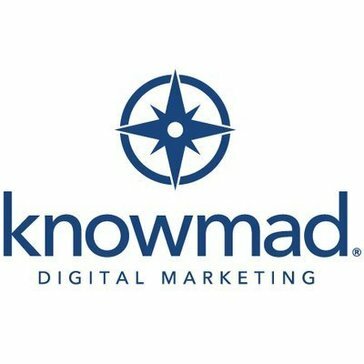 We were founded in 1999 as a digital marketing company providing direct response results to clients on a global scale through search engine marketing and display media. Loymark RAPP is the agency specialized in 'Customer Experience', managing the relationship between people and brands before, during and after the purchase. The M16 team is a brilliant group of strategists, designers, coders and marketers. 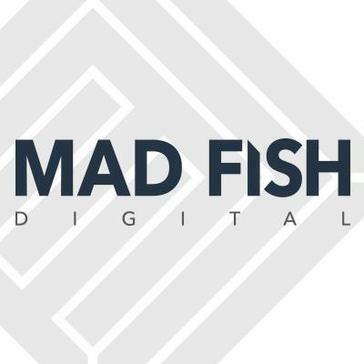 Mad Fish Digital is an online marketing agency that provide advanced custom technology and unique, results-driven strategies. We're a content marketing company that can help you improve your brand positioning. Mannix Marketing has been helping companies succeed in the ever-changing internet world since 1996. Established in 2003, Marcel Digital is an award winning boutique digital marketing agency based in the River North area of Chicago. Marketing Maven is a full service marketing and communications agency with offices in Los Angeles and New York. Marvel Marketers LLC is a global strategy, marketing automation, and business intelligence consulting company serving both Enterprise and SMB customers. Measured SEM provides measurable, results-driven SEO, PPC, blogging, content creation and link building for small businesses and agencies. 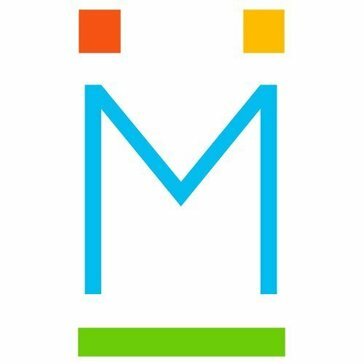 Medialaunch is a Toronto Social Media Marketing & Advertising Company that specializes in design, web marketing, social media management and reputation management. MediaSource is a team of seasoned storytellers and cutting-edge multimedia experts who strategically develop and distribute relevant content marketing for our partners in health care and related industries. Meredith Xcelerated Marketing (MXM) is a leading content-powered, customer engagement agency that provides fully integrated marketing for some of the world's top brands, including Kraft, Lowes, Chrysler, NBC Universal, and Bank of America. Mint Chip is a down-to-earth digital marketing team, providing web development, marketing and branding services to businesses small and large. We combine advertising tactics with digital product building to tell your story. Movable Media sits at the intersection of Influencer Marketing and Content Marketing: we enable brands to create and own content with a built-in audience. Breakthrough content for your brand. MSP-C is an award-winning content marketing agency developing best-in-class creative for a diverse and highly respected list of clients, including many Fortune 500 companies. We are one of the nation’s largest consumer, trade and business-to-business custom content companies with expertise in creative content strategy, design and development across print and digital channels. Throughout our 40-plus years we’ve worked with some of the world’s most recognized and iconic companies in healthcare, financial services, air travel, pharmaceutical, medical products, CPG, technology and more." M studio is a woman-owned, full service creative branding and communications agency offering clients personalized solutions from concept to completion by generating brand driven results through all-encompassing campaign strategies. Neolynx specializes in the design, development, and optimization of business solutions that improve the effectiveness of marketing, product presentation, interactive transactions, customer relationship management, and everyday business procedures. We simplify the production process, bringing your vision to life. Next4 proudly delivers projects that produce positive results for the people. NextLeft is an SEO and Content Marketing firm that partners with brands and agencies alike to strategize, create and promote helpful, relevant content that increases organic rankings. Niswey delivers ROI-driven digital marketing to enable companies to grow. NNC Services is a marketing and management consulting company for B2B companies. NOTICE is a collection of content creators,ξtechnologists, and marketers on a mission to help you connect with your audience through big ideas, video, rich imagery, and unique experiences. Omni Medical Marketing is a leader in responsive medical website design and SEO. OnCore Media is a B2B strategic content marketing services firm. On Demand Advisors helps to create your revenue growth strategy, provide vital execution services and implement revenue driven solutions. Ontarget is a premier Digital Marketing Agency with offices around the Midwest. Oozle Media knows that generating more leads is why most companies hire a marketing agency. OpenMedium Consulting delivers management consulting, digital marketing, e-commerce management, and technical services to fast-moving businesses. Helping pharmaceutical and life science organisations uncover opportunities to become more visible, increase engagement and generate leads. Over The Top SEO LTD also known as OTT is an international Digital Marketing Company that specializes in SEO/Web Development and Design/Lead Generation/Unique Optimization and Hosting. The key to creating great brands, products and experiences comes through understanding the client and user needs. Hi there! Can I help you find the best Content Marketing Agencies solutions?